Pickleball is a paddle sport created for all ages and skill levels to enjoy. The game is easy and the rules are simple. Beginners can soon develop the skills needed to play a fast-paced, competitive game. Pickleball is the fastest growing racket sport in the country. It combines elements of tennis, badminton, and ping-pong. The court is badminton sized with a modified tennis net. The game is played with a paddle and a whiffle ball. Doubles or singles can be played. 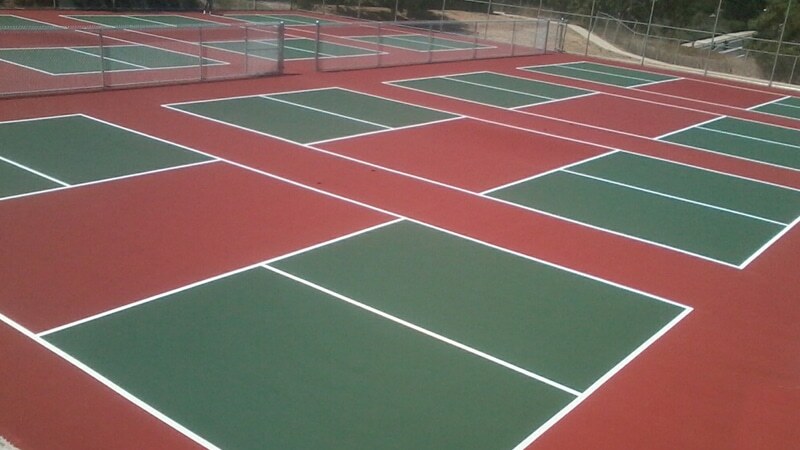 Let Taylor Tennis Courts design and build your pickleball court. 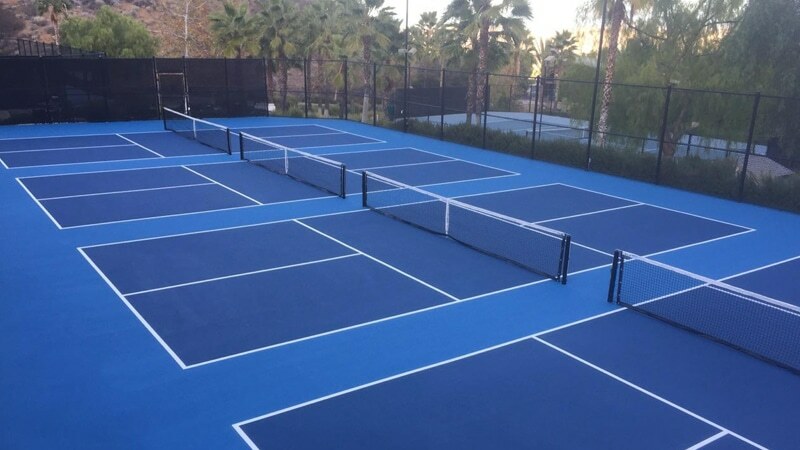 We can provide you with a variety of court surfaces from which to choose. Enjoy the “sweet sport with the sour name” on your custom-made court by Taylor Tennis Courts.